WHOLESALE FABRIC. ONE PRICE FOR EVERY BUYER. WEDDING VENUE FABRIC. SHEER PLAIN CRYSTAL ORGANZA FABRIC. PLAIN PATTERNED PRINTED GINGHAM FLORAL STRIPED POLKA DOT SPOTTED POLY COTTON POPLIN FABRIC. SATIN POLYESTER FABRIC. DUCHESS SATIN FABRIC. PANAMA FABRIC. CRUSHED VELVET FABRIC. PVC TABLECLOTH FABRIC.TAFFETA FABRIC. FAUX LEATHER FABRIC. CANVAS FABRIC, CHEAP FABRIC. FAST DELIVERY. CRAFT BRIDAL DRESS MAKING FABRIC. WEDDING DRESS FABRIC. FASHION FABRIC. CURTAIN UPHOLSTERY FABRIC. ORGANZA FABRIC, DRAPE FABRIC. FROM £0.90 PENCE A METRE. Satin, budget liquid satin fabric, silk satin fabric and heavyweight quality Duchess satin, Luxury silk look and crisp feel Taffeta fabrics in an excellent quality, Sold by the metre or in full rolls at discounted prices. Wide range of colours available in all qualities.Fabric width in all qualities . Satin shiny luxury fabric in width 150 cm, available in over 20 colours from stock and perfect for room decoration,wedding chair sashes, dress making, prom dresses,wedding dresses, venue dressing any many other uses.Cut to your required length in and where possible supplied in 1 piece. Full rolls of 50 Metres at discounted prices. Shade my vary slightly from picture colour shown on our website. White. Black. Ivory. Navy. Cream. Light Pink. Silver. Lilac. Sky Blue. Ruby. Turquoise Aqua. Fuchsia Cerise. Red. Wine. Bottle Green. Purple. Grape. Gold. Chocolate Brown. Taffeta fabric is a crisp, smooth, plain woven fabric with a silk feel and look. A quality high end fabric suitable for use in ball gowns, wedding dresses, suit lining, dress lining,corsets, venue dressing and interiors. Organza fabric in plain 1 colour, 2 tone organza fabric,crystal organza and sparkle sequin effect organza, organza table cloths, organza table runners and wedding sashes. 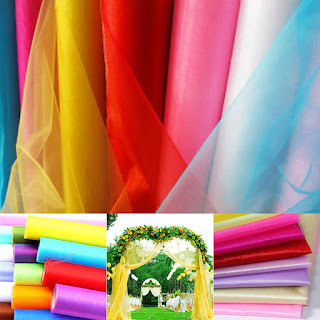 Choose from over 40 organza colours from stock, If you are dressing a venue or organising a wedding or party then we will have what you are looking for with our wide range of stock. We supply to the wholesale, party planners, event planners, hotels and venue dressers around the world. Quality Organza fabric Available in Two Widths 120" 300 CM 60" wide 150 cm ,Crystal Organza or plain Sheer Organza from as little as 40 p per metre, perfect for weddings and venue dressing.Our organza is available in 100 colours from stock in the UK. Don't leave your arrangements to the last minute or worry your goods will not arrive, buy from a trusted UK supplier. BDC Ltd (The Big Do Company) wholesale prices,satin,organza,dress fabric, bridal fabric, fashion fabric, art &crafts,home furnishing,fast delivery. CHEAP WHOLESALE FABRIC. ONE PRICE FOR EVERY BUYER. WEDDING VENUE FABRIC. SHEER PLAIN CRYSTAL ORGANZA FABRIC. PLAIN PATTERNED PRINTED GINGHAM FLORAL STRIPED POLKA DOT SPOTTED POLY COTTON FABRIC. SATIN POLYESTER FABRIC. DUCHESS SATIN FABRIC. PANAMA FABRIC. CRUSHED VELVET FABRIC. PVC TABLECLOTH FABRIC.TAFFETA FABRIC. FAUX LEATHER FABRIC. CANVAS FABRIC, CHEAP FABRIC. FAST DELIVERY. CRAFT BRIDAL DRESS MAKING FABRIC. WEDDING DRESS FABRIC. FASHION FABRIC. 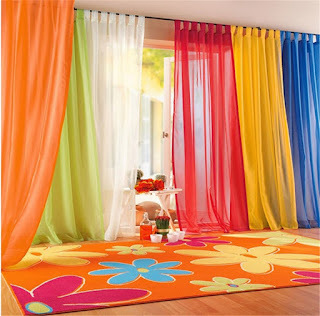 CURTAIN UPHOLSTERY FABRIC. ORGANZA FABRIC, DRAPE FABRIC. FROM £0.90 PENCE A METRE.